Our little man is growing like crazy! 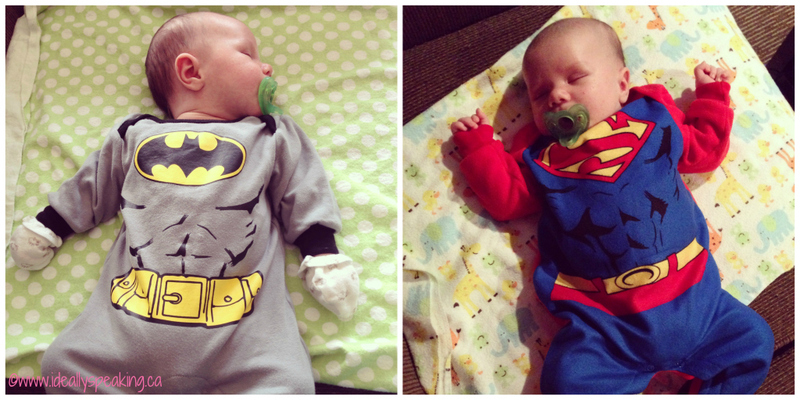 He has already expanded into the 3-6 month size range…which meant he now fits his superhero sleepers! I got a visit from BatBaby and SuperBaby this past week! Adorable and full of attitude. Being still very much in the newborn stage, we haven’t ventured out too much in the past couple of months. However, my grandma celebrating her 90th and my stepdad back in the province for the occasion? That was definitely worth the trip. So this weekend we made a 2.5 hour journey to see the family. Colton meeting Papa and Gigi for the first time! 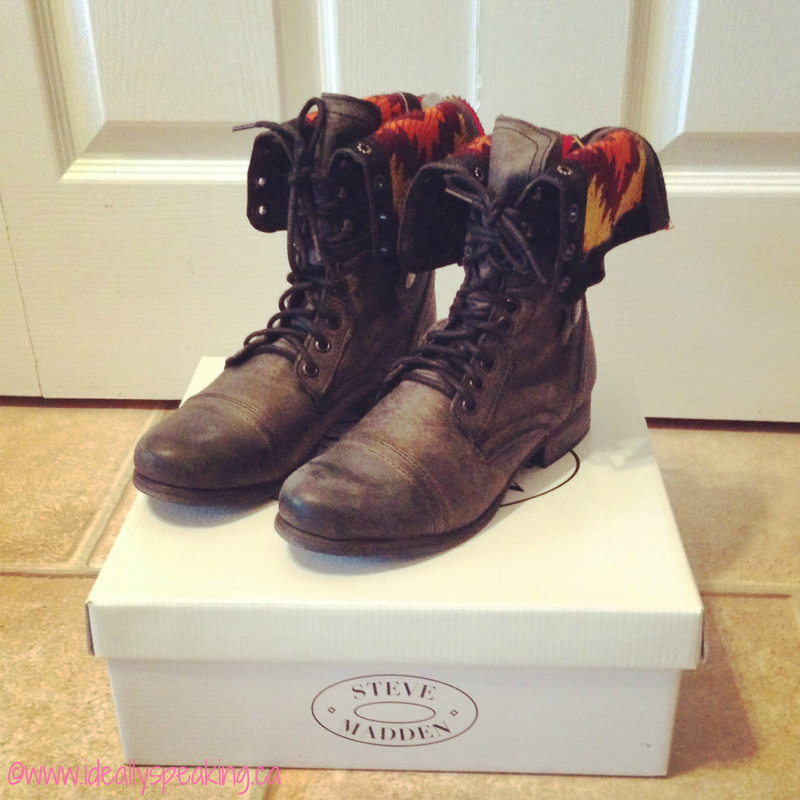 Lastly, I got spoiled for Mother’s Day with a pair of Steve Madden boots that I have been coveting for about a year. So excited to plan the outfits I will wear with these babies! Love in the form of combat style boots. 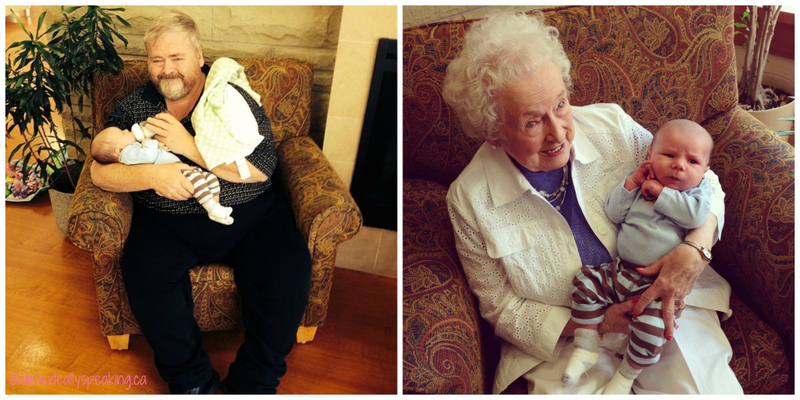 #WordlessWednesday with linky: Lots of Baby! 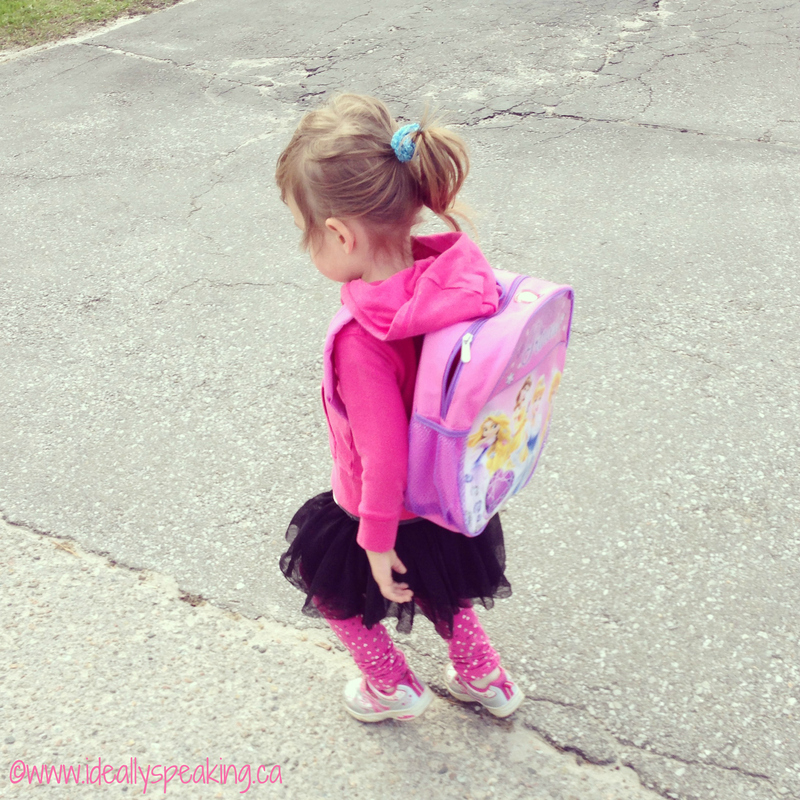 #WordlessWednesday with linky: 2 Months old & Kindergarten Orientation! #WordlessWednesday with linky: Meet Our Baby Boy!!! #WordlessWednesday with linky: First Time at the Movies! « #WordlessWednesday with linky: Lots of Baby! I love your photos they are very nice. Thanks for hosting today. Hope that you can stop by as well. Aw! what fab photos heheh! Cute pictures, love all the outfits. That must have been a nice trip to see the family! Thanks for hosting, have a great week. I love the fog, it’s been foggy the last few days. I got up this morning, loeokd out side and perhaps took a little too long to get ready as I was walking out the house with my camera the fog was gone! Sigh, oh well. Happy New Year to you too!